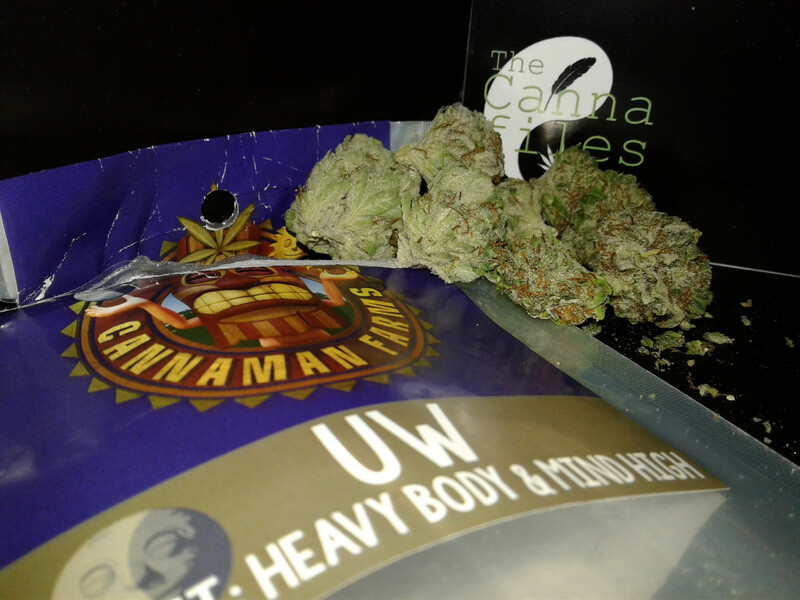 Every strain has a story and “UW” is no different. Like all stories, maybe it’s fiction, perhaps it’s based on fact. Or maybe, just maybe like the stories that make up people like you and me, maybe it’s a bit of both, a mixture of truth and perception of truth. Myth and fact hybridized into legend. Sometimes you need a story to sell a bag of weed and sometimes you don’t. But a story can make for a better experience. Plants are like people. Everybody has a story and plants, especially polytypic ones like cannabis, have stories too. Tales of the tallest kind. And like people, plants have personalities. Each strain--beyond its basic phenotype, deeper than its genetic structure--every strain expresses unique properties. Subtle though they may be, each smoke is slightly different. And like people, knowledge of one’s story can alter perception. It has the power to color and paint the experience with expectation. So let us be fair and balanced and ignore story for just a moment and let “UW” speak for herself. These buds have a ‘no-nonsense’ approach to their appearance. Clean, robust, pockets of red pistils throughout darker shades of green leaf and calyx. Trichomes are all over the buds. Very beautiful. She’s good and frosty. However, under the microscope the trichomes are predominantly milky white stems with not too many translucent, or clear, heads. This could be an indicator of harvesting early. There is a heavy sage and pine aroma. After grinding the bud, the pine note elevates and reveals a hint of eucalyptus. These buds feel well hydrated and pack into the bowl nicely. The first hit is piney and a little hot against the throat. It really opens up the sinus cavity. The smoke feels full and thick in the lungs. My mouth tingles with a lemon-pepper bite. She smokes a bit rough. You feel it in the face first. My cheeks are warming up and my eyes have a feeling of gauze over them. The smoke has a hot, peppery bitterness to it. She’s definitely a rougher smoke as she burns to the bottom of the bowl. The flavor is all but gone and forgotten by the time the rest of the effects kick in. My muscles are beginning to melt as my mind is getting all swimmy and dopey. There’s a smile on my face because I lost track of time. Nice. Time-dilation...chalk one up for “UW” for effects 101. Still she was a little rough on the way down. She smoked a touch hot and peppery. The pine had a bite before the sage settled it. The effects are heavy. My legs are totally relaxed and my lower back is melted and warm. And I have just enough mental capacity to tell you a story I remember hearing once. There’s not much to this rumor, just something about some sort of phenomenal phenotype that had been liberated from the University of Washington’s botanical research lab. Apparently, so the story goes, the university--through some black flag government operation--got its hands on a couple strains. Rumor has it “UW” was only one of four strains liberated from the facility during the program’s operation. Allegedly “Black ‘84,” “Sasquatch,” and “Space Needle” were the other three. But again these are only rumors, conjecture. Probably some mere fictional fragment lost and found in the mind of some unknown, anonymous grower in Seattle. A simple story to help elevate one strain’s value over another. Or maybe it’s true, every thread of it. Or maybe like you and me cannabis is more interesting when it comes with a bit of gossip attached to it. Whether or not it’s true that “UW” was really part of some government backed research program and stolen from the university’s research lab doesn’t matter. What really matters, what truly matters is how she smokes. Stories are important. Some entertain, some enlighten. Still others just color expectation and manipulate perception. The truth can be found where it’s always been found. “UW,” as a strain and like the school, may or may not have an interesting history attached to it. But this particular bag had me wanting for flavor, though the effects had me forgetting just how rough she smoked. Besides...who needs a story when you can dilate time?